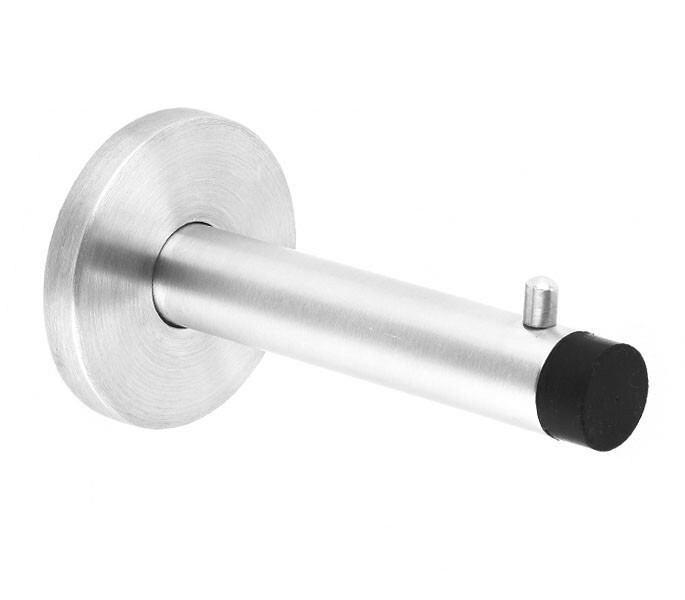 Our cubicle coat hook is manufactured from grade 304 satin stainless steel for excellent corrosion resistance and is a low cost solution for holding coats and bags in cubicle facilities. The item is suitable for installation onto 13mm & 20mm board and can also be installed onto thicker doors if required. 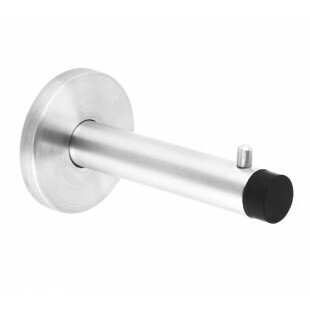 The cubicle coat hook with buffer is surface fix and includes a 3 point concealed fixing to help prevent vandalism whilst measuring at 90mm in projection with a black buffer on the prong to enable damage prevention to door and partition. The cubicle coat with buffer is sold singly and supplied complete with woodscrews for fitting with a neat three point concealed fixing for both a practical and aesthetic appeal.